TEAM ARENA - BRX LASER TAG GAME NOW AVAILABLE! TEAM ARENA is a futuristic FPS gaming experience for the BRX that helps you to create iconic Red vs Blue battles anywhere. Create a lobby, select a game mode, choose your game settings, and invite your friends to join in through the CallSign app. Your phone’s heads up display tracks everything in real time from game time, health, shields, ammunition, weapon pick ups, and score. Team up with friends and play some of First Person Shooters most iconic game modes: Arena, Team Arena, Team Snipers, and Capture the Flag! 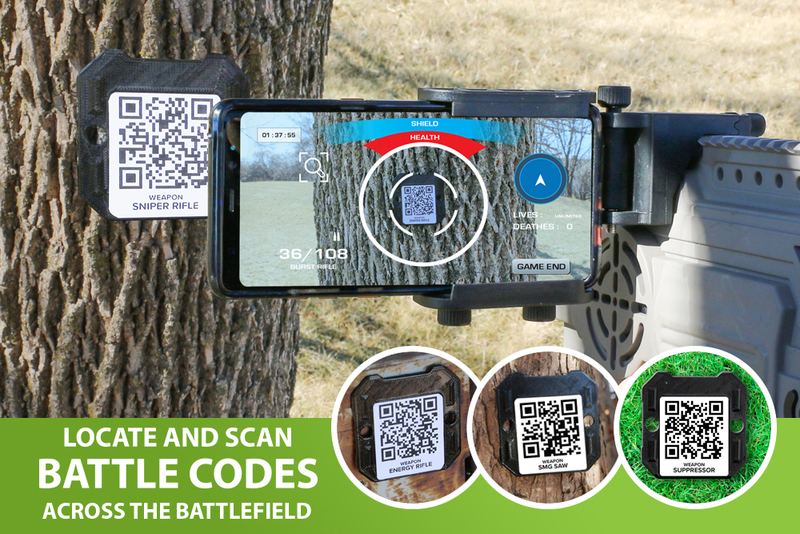 QR CODES AND THE BRX LASER TAG RIFLE! Scan QR codes to respawn, capture and return flags, and pick up weapons scattered all across the battlefield. 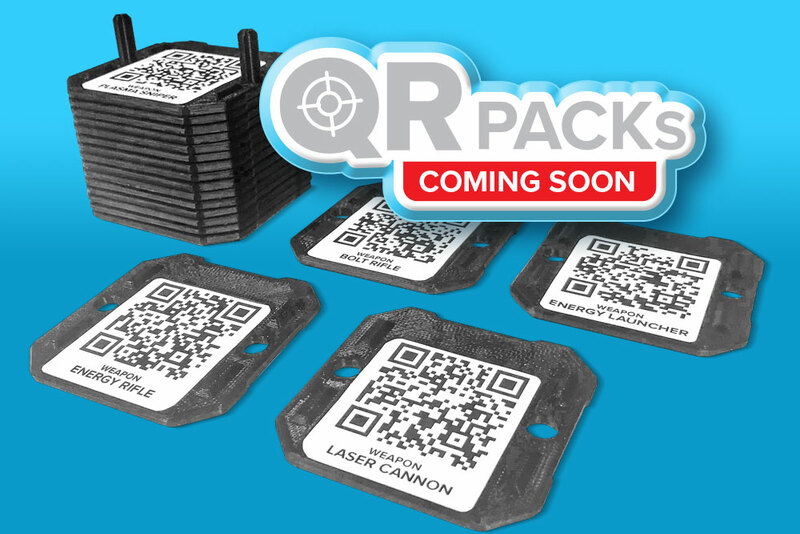 QR PACKS SOLD SEPARATELY! COMING SOON! Select from 20 different futuristic weapons to carry in your primary and secondary slots to take out your opponents with! INTERESTED IN PLAYING ARENA ON THE BRX? GET A BRX NOW! BUY NOW!